In Ayurveda (a form of alternative medicine that originated in India), there are three main body types, or doshas, known as Kapha, Vata, and Pitta. A person with excess Kapha may tend to feel cold, tired, sluggish, and have difficulty waking up in the morning. According to the principles of Ayurveda, excess Kapha may lead to poor circulation, congestion, digestive concerns, and weight gain, and can contribute to conditions such as diabetes, heart disease, allergies, and depression. Ayurvedic practitioners typically suggest a diet that emphasizes cooked vegetables to soothe excess Kapha. Heavy, oily foods such as hard cheese, cream, and pastries are generally avoided, as are foods that are sweet, sour, or salty. Additionally, a tea is typically recommended, made with pungent, Kapha-balancing spices such as turmeric, ginger, and cardamom to combat congestion, support digestion, boost circulation, and detoxify. Despite its long history of use in Ayurvedic medicine, Kapha tea and its health effects haven't been tested in scientific studies. If you're looking for a Kapha-balancing tea, you'll likely notice that there isn't a standard herbal blend or recipe. Any blend that includes herbs and spices that are pungent, bitter, astringent, heating, or spicy may be used, with other ingredients added for taste. Ingredients thought to benefit and balance the Kapha type include ginger, cloves, cinnamon, cardamom, turmeric, cayenne pepper, cumin, fennel, black pepper, saffron, peppermint, tulsi, anise, licorice, and fenugreek. Hot ginger tea, for instance, is thought to aid digestion and cleanse the body, so it is often recommended for Kapha types. Kaphas should avoid sweet food, so tea is best left unsweetened. If a sweetener is added, honey is considered one of the most appropriate sweeteners. Mix the ginger, clove, dill seed, and fenugreek seed together. Add the boiling water to the herb and spice mixture. Steep for 5 minutes, covered. Strain and discard the herb and spice mixture and serve hot. 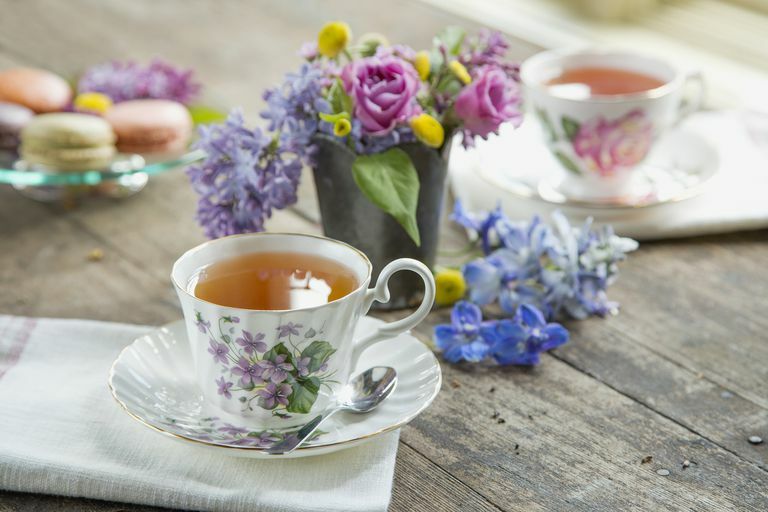 While most people can enjoy the occasional cup now and then, avoid drinking excessive amounts (of any type of tea) or using it as a substitute for standard treatment. The herbs in different teas vary, so be sure to check the ingredients in each type of herbal tea you try. Licorice, for instance, contains glycyrrhizic acid or glycyrrhizin, which may cause high blood pressure and other adverse effects. It's a good idea to check with your healthcare provider before trying any herb to weigh the pros and cons and to see whether it's appropriate for you. Be sure to tell him about any new symptoms or health concerns such as fatigue, allergies, or weight gain. Pregnant or nursing women and children shouldn't drink Kapha tea. How Do You Make Sugar-Free Eggnog?